Lachlan Rozin grew up in Highvale. He has a younger sister and works for his parents, helping out around the family farm. The farmlands were a prosperous, yet isolated region - lying far beyond a mountainous and highly forested pass, in which smaller Demons and Echoes would often cross into their territory to feed upon the livestock. The Rozin family were quite synonymous with producing exceptionally strong Melee Meisters and as such, these demonic activities were easily handled. However when a troublesome Echo found it’s way onto the farmlands, Lachlan went missing. Lachlan’s blood was found in the mountains, along with a broken blood stained claw. Although a lengthy investigation was conducted, the case was eventually closed, with Lachlan presumed dead and the Echo having fled the area. In reality, Lachlan had been abducted and taken into the subterranean dungeons of Scythe Pharmaceuticals, and enlisted along with other children into the next phase of Mardock Trials. There, he was subject to inhumane experiments in order to create perfect living weapons - earning code name “Lockheart”. Lockheart is labelled as a member of the "Forgotten"
Prior to his abduction, Lockheart was a strong, yet kind-hearted boy always looking to help others. However as a result of Mardock Trials, he is now somewhat empty and emotionless, despite always having a smile across his face. 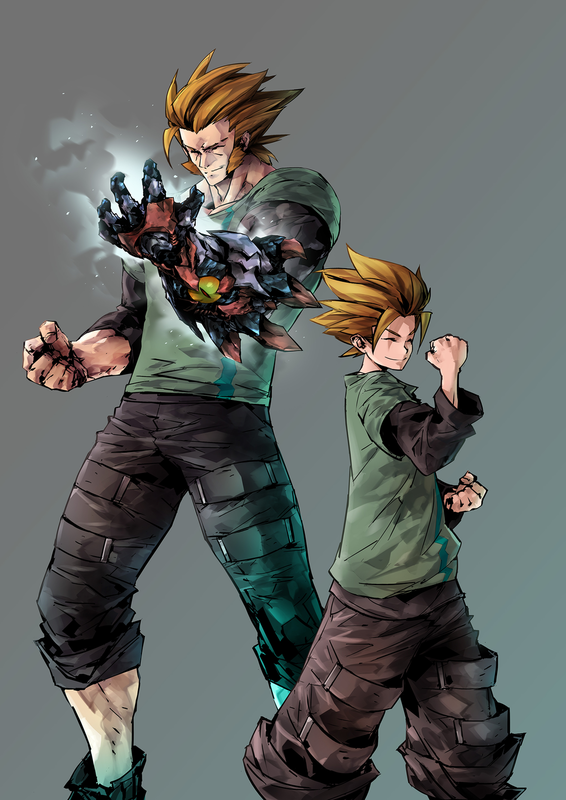 Lockheart was born a Melee Meister, and possesses super-human strength. The trials have also given him a strange ability to accelerate his spiritual energy. This acceleration results in the temporary development of his body. When this happens, Lockheart’s body doubles in size -becoming extremely muscular and giving him the appearance of an adult. He is also gifted with a rare custom relic known as Frostvein - a powerful gauntlet, made from the remains of an elemental dragon and enables the user with the ability to manipulate and control Ice.